Looking for a property in Kotewada? Have a property in Kotewada? Have a good knowledge of Kotewada? Share it and become a Locality expert. residential with best living option. 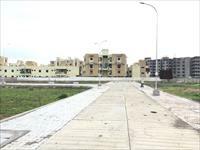 Mahalaxmi Nagar 7 is a residential development, which offers plots in various dimensions. Owning a plot having access to all facilities is more difficult nowadays.